Sonia Heaven is Professor of Environmental Engineering within Engineering and Physical Sciences at the University of Southampton, and Head of the Water and Environmental Engineering Group. She has worked on the EPSRC-funded SUE Waste programme, the EU FP6 CROPGEN project, and the EU FP7 All-Gas project, and was coordinator of the EU FP7 project VALORGAS: Valorisation of food waste to biogas. She is a Chartered Civil Engineer with 7 years' experience in the UK water and wastewater industry, and while employed by Southampton she spent 7 years in central Asia working on a on a wide range of environmental problems. She is a Member of the Chartered Institution of Water and Environmental Management and of the Chartered Institution of Waste Management. Current research interests are in the use of biological systems for energy production, biomass production for biorefineries and pollution remediation. Renewable energy production through anaerobic digestion: Comparative performance of a range of process configurations and operating regimes for biowaste and energy crop substrates, including single and multi-phase operation; high and low solids contents; and mesophilic and thermophilic temperatures. The aim is to identify to optimum systems in terms of specific and volumetric methane yields to support the analysis of overall energy production potential. Waste management: Projects include the EPSRC-funded SUE Waste Consortium and the Defra New Technologies programme, looking mainly at quantitative and systems-related aspects (e.g. energy footprinting, waste audit and logistics). This project is part of the IB Catalyst programme jointly funded by Innovate UK, the Engineering and Physical Sciences Research Council (EPSRC) and the Biotechnology and Biological Sciences Research Council (BBSRC). This collaborative project is aimed at developing a beneficial synergy between anaerobic digestion (AD) and pyrolysis for the processing of non-source segregated organic fraction of municipal solid waste (MSW). The research considers a range of factors affecting algal revival and growth, focusing particularly on phenomena in the unsteady state period occurring between the end of winter and the onset of summer conditions. This is a collaborative project funded by ERA-Net which aims to maximise the energy gain from anaerobic biological treatment of high-volume low strength industrial wastewaters at ambient temperatures. This EPSRC-funded project formed part of the Sustainable Urban Environment (SUE) Waste Consortium (GR/S79626/01). Waste stabilisation ponds in continental climates operate in very different modes in different seasons. This research was carried out in conjunction with an EU FP4 project to establish the parameters affecting design and operation. This project is one of a series carried out on aspects of mercury pollution in the River Nura in Temirtau in central Kazakhstan. The project brought together engineers, scientists and policy makers to identify research needs and propose solutions for the Aral basin. This project aimed to provide detailed knowledge of the processes by which power station ash acts as a sorbent for mercury, allowing it to be considered as a potential remediation material. Funded by the Waste Resources Action Programme (WRAP), the Bioenergy and Organic Resources Group led a consortium of 3 institutions, including The Open University and WRc, to develop the test which has now become part of PAS110 and confirms that a digestate is sufficient in terms of biological stability to ensure environmentally sound land application. The aim of the work was to better understand the factors influencing the stabilisation of the organic fraction of municipal solid waste (MSW) in the anaerobic digestion process. In particular the research addressed whether stabilisation, as judged by volumetric gas production, solids destruction and bio-stability of the residues, could be improved by co-digestion with other organic wastes from industry, commerce and agriculture. ECOFUEL is building an international partnership for new second generation biofuel processes: the research will set the foundation stones for the technologies being developed, and make further contributions to overcoming barriers to commercialisation. The ECOFUEL project will effectively integrate respective regional programmes for better allocation and utilisation of resources, in particular to achieve the critical mass required to move the second generation of biofuels forward. CROPGEN was a research project funded by the EU's 6th Framework Programme, involving 11 partners in 6 European countries. The overall objective of the research was to produce from biomass a sustainable fuel source that can be integrated into the existing energy infrastructure in the medium term, and in the longer term provide a safe and economical means of supplying the needs of a developing renewable fuel economy. The purpose of the Knowledge Transfer Partnership between BV Dairy and Southampton is to apply the University's research-based knowledge of process optimisation and integration techniques to the introduction of AD as a treatment process for high-volume, low-strength dairy wastes. This study for the National Non-Food Crops Centre (NNFCC) aimed to determine whether anaerobic digestion (AD) is an effective treatment for a mixed food waste stream containing renewable plastics. The Bioganix Demonstration Project was funded under Defra's New Technologies programme. The University of Southampton was responsible for research monitoring and evaluation, including energy footprinting of the process. This project involved research, monitoring and evaluation of the Biocycle digester, a plant treating kitchen and green waste from 19,000 households in South Shropshire. The plant is funded by Defra's New Technologies demonstrator programme and Advantage West Midlands, and has been operating since January 2006. 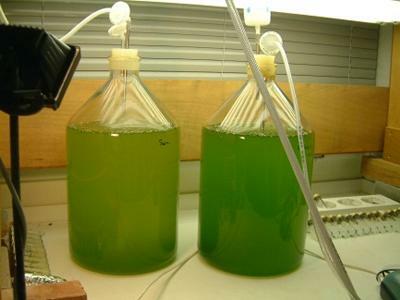 This project, led by Aqualia SA, is a large scale demonstration of the sustainable production of bio-fuels based on low-cost microalgae cultures. The research examined the potential for development of anaerobic digestion (AD) on farms, and the contribution that this could make to rural development and diversification of agricultural practice by enhanced land use planning for bioenergy production. The research is set in the context of a rapidly developing European agenda aimed at both strengthening the rural economy and protecting the environment. This project is one of a series carried out on aspects of mercury pollution in the River Nura in Temirtau in central Kazakhstan. In particular it aimed to study the chemical fate of mercury in the river in an attempt to identify conditions of water flow and quality that will reduce its transport downstream; and the distribution, transport and behaviour of the mercury contaminated silts, in order to define economic containment techniques. A current challenge with intermittent generation of renewable energy is finding an energy storage solution to provide energy at a time to meet consumer demand. Electrolytic production of H2 has been proposed, however this is currently limited by a lack of H2 infrastructure for storage and usage. H2 can be combined biochemically, however, with CO2 to form CH4 in an anaerobic reactor. This process increases the carbon utilisation of waste biomass in anaerobic digestion, producing biomethane which can act as a substitute to natural gas in our current gas infrastructure. This project investigates the mass transfer of H2 into an anaerobic reactor and the performance of the digester considering the effect on pH from a reduced concentration of bicarbonate in the digester liquor. 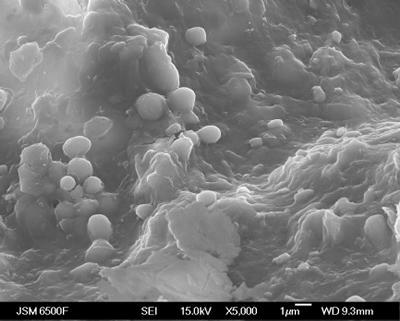 Laboratory investigation into the manufacture of support particles to allow colonisation of anaerobic biomass and low impact cleaning of submerged membranes in anaerobic bioreactors. Cysneiros, D., Banks, C. J., Heaven, S., & Karatzas, K-A. G. (2012). The role of phase separation and feed cycle length in leach beds coupled to methanogenic reactors for digestion of a solid substrate (Part 1): Optimisation of reactors’ performance. Bioresource Technology, 103(1), 56-63. Krivtsov, V., Dacombe, P., Kozenko, E. P., Zotova, E. A., Pak, L. N., Heaven, S., & Banks, C. J. (2008). Contemporary applications of the interdisciplinary waste management research: Case studies of algal biodiversity in the WSP and energy footprint of municipal wastes. International Journal of Energy, Environment, and Economics, 15(3-4), 183-204. Curran, A., Heaven, S., & Williams, I. D. (2006). An evaluation of council bulky waste collection services in England. CIWM Scientific and Technical Review, 7(1), 12-25. Heaven, S., Banks, C. J., & Zotova, E. A. (2005). 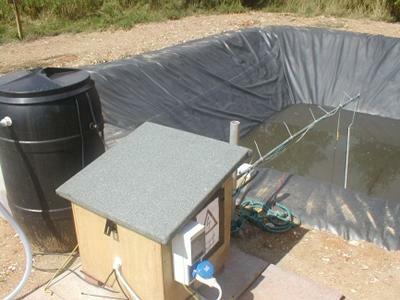 Light attenuation parameters for waste stabilisation ponds. Water Science & Technology, 51(12), 143-152. Banks, C. J., Heaven, S., & Zotova, E. A. (2005). Some observations on the effects of accumulated benthic sludge on the behaviour of waste stabilisation ponds. Water Science & Technology, 51(12), 217-226. Druz, N. N., Heaven, S., Istamkulov, M. R., & Tanton, T. W. (2004). Environmental management master's programme in Kazakhstan: course structure and content. Water Science & Technology, 49(8), 91-99. Istamkulov, M. R., Heaven, S., Druz, N. N., & Tanton, T. W. (2004). Environmental management master's programme in Kazakhstan: development and operation. [In special issue: Environmental Engineering Education II (Selected Proceedings of the 2nd International Seminar on Environmental Engineering Education, held in Zurich and Dübendorf, Switzerland, 24-26 September 2003]. Water Science & Technology, 49(8), 81-90. Banks, C. J., Koloskov, G. B., Lock, A. C., & Heaven, S. (2003). 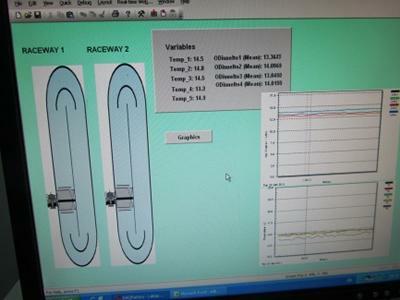 A computer simulation of the oxygen balance in a cold climate winter storage WSP during the critical spring warm-up period. Water Science & Technology, 48(2), 189-196. Heaven, S., Lock, A. C., Pak, L. N., & Rspaev, M. K. (2003). Waste stabilisation ponds in extreme continental climates: a comparison of design methods from the USA, Canada, northern Europe and the former Soviet Union. Water Science & Technology, 48(2), 25-33. Istamkulov, M. R., & Heaven, S. (2001). BG educational initiative in Kazakhstan- Professional preparation for specialists in environmental management. The Globe, (In Russian). Ilyushchenko, M. A., Heaven, S., & Yakovleva, L. V. (2001). Mercury Pollution of the River Nura. Promyshlennost Kazakhstana, 3(6), 56-9. Ilyushchenko, M. A., Yakovlyeva, L., Heaven, S., & Lapshin, E. (2000). Mercury pollution of the river Nura (in Russian). Industry of Kazakstan, 3(6), 56-59. Heaven, S., Vermenicheva, T. B., & Saribekova, L. M. (1999). Municipal solid waste in Kazakhstan: urban waste management problems in a transition economy. Wastes Management, (October), 27-40. Heaven, S., Tanton, T. W., Ilyushchenko, M. A., Abdrashitova, S. A., & Yanin, E. P. (1999). Results of research into mercury pollution of the River Nura in central Kazakhstan and proposals for demercurisation. Vestnik KazGU, 18-21. Heaven, S., & Ilyushchenko, M. A. (1996). Mercury technogenic geochemical anomalies in central and north-east Kazakhstan: Review of the results and expeditionary research. Vestnik KazGU, 28-30. Heaven, S., Ilyushchenko, M. A., & Ishamkulov, M. SH. (1996). Study of the mercury of the River Nura with the aim of developing an effective management strategy for the polluted technogenic sediments. Vestnik KazGU Chemistry Series, (5-6), 273-274. Heaven, S. (1992). Hazardous household waste. Warmer Bulletin, 35. Heaven, S., Howell, R., & Kerrell, E. (1992). Household hazardous waste pilot scheme. Wastes Management, 38-39. Howe, I., Heaven, S., & Kerrell, E. (1995). Survey of household hazardous waste collections in England and Wales. Leeds, GB: Save Waste & Prosper Ltd. Heaven, S., Kerrell, E., & Howell, R. (1995). The waste wagon manual: procedures documentation prepared for the Leeds household hazardous waste collection scheme. Leeds, GB: Save Waste & Prosper Ltd. Heaven, S., Forrest, P., & Sandels, C. (1990). 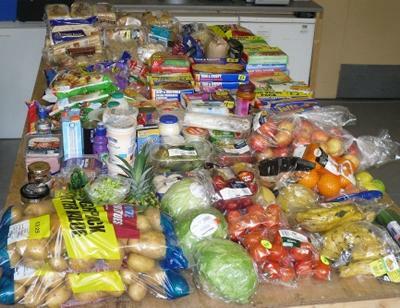 Sorting at source: Separation of domestic refuse - The 100 households report. Leeds, GB: Save Waste & Prosper Ltd. Heaven, S., & Banks, C. J. (2005). Cold and continental climate ponds. In A. Shilton (Ed. ), Pond Treatment Technology (pp. 381-407). London, UK: IWA Publishing. Banks, C. J., & Heaven, S. (2001). Landfilling. In L. Spinosa, & P. A. Vesilind (Eds. 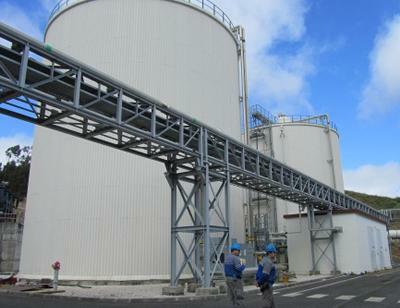 ), Sludge into Biosolids: Processing, Disposal, Utilization (pp. 74-100). London, UK: IWA Publishing. Heaven, S., Karazhanova, A., Yanin, E. P., Ilyushchenko, M. A., & Tanton, T. W. (1997). Mercury pollution of the River Nura in Central Kazakstan. In G. Hüseyin (Ed. ), WPMC 97 International Conference on water problems in the Mediterranean countries,17-21 November 1997, Nicosia, North Cyprus (pp. 114). Nicosia, CY: Near East University. Heaven, S. (1993). The environmental impact of household hazardous waste. In 1st UK Conference on Managing Potentially Hazardous Waste Arising from Households (pp. 37-44). 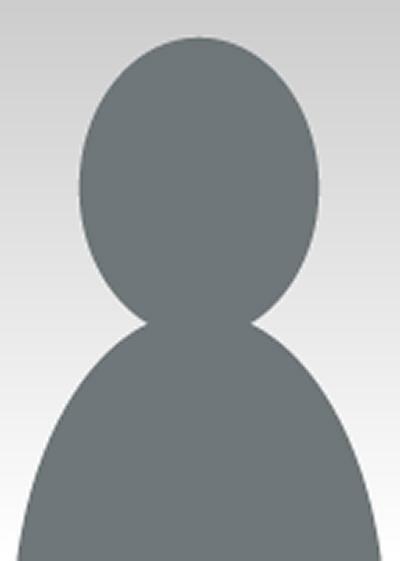 Leeds, GB: Save Waste & Prosper Ltd.
Zhang, Y., Arnold, R., Paavola, T., Vaz, F., Neiva Correia, C., Cavinato, C., ... Heaven, S. (2013). Compositional analysis of food waste entering the source segregation stream in four European regions and implications for valorisation via anaerobic digestion. Paper presented at Sardinia 2013 14th International Waste Management and Landfill Symposium. S. Margherita di Pula (CA) Italy, Italy. Jiang, Y., Heaven, S., & Banks, C. (2011). Strategies for performance and stability improvement in mesophilic anaerobic digestion of vegetable waste. International IWA-Symposium on Anaerobic Digestion of Solid Waste and Energy Crops, Austria. Banks, C. J., & Heaven, S. (2008). Anaerobic digestion of maize in coupled leach-bed and anaerobic filter reactors. Paper presented at 5th IWA International Symposium on Anaerobic Digestion of Solid Wastes and Energy Crops, . Banks, C. J., & Heaven, S. (2008). Development of a coarse membrane bioreactor for two-stage anaerobic digestion of biodegradable municipal waste. Paper presented at 5th IWA International Symposium on Anaerobic Digestion of Solid Wastes and Energy Crops, . Heaven, S., & Banks, C. J. (2008). Effect of solid and liquid retention times on hydrolysis of maize. Paper presented at 5th IWA International Symposium on Anaerobic Digestion of Solid Wastes and Energy Crops, . Banks, C. J., & Heaven, S. (2008). Impact of the addition of maize on the anaerobic digestion of cattle slurry. Paper presented at 5th IWA International Symposium on Anaerobic Digestion of Solid Wastes and Energy Crops, . Rincon, B., Banks, C. J., & Heaven, S. (2008). Study of the biochemical methane production of winter wheat: influence of growth stage and storage practice. Paper presented at 5th IWA International Symposium on Anaerobic Digestion of Solid Wastes and Energy Crops, . Heaven, S., Banks, C. J., & Martin Santos, M. A. (2008). 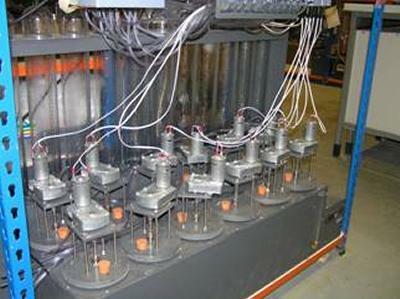 Two-phase hydraulic flush reactors for maize digestion at high loading rates. Paper presented at 5th IWA International Symposium on Anaerobic Digestion of Solid Wastes and Energy Crops, . Banks, C. J., & Heaven, S. (2007). Anaerobic digestion of maize for energy production in leach-bed reactors. Paper presented at 11th IWA conference on Anaerobic Digestion, . Banks, C. J., & Heaven, S. (2007). Effects of pH Control and Methanogenic Effluent Recycle on the Hydrolysis/Acidification Stage of the Anaerobic Digestion of OFMSW Using a Hydraulic Flush Reactor. Paper presented at 11th IWA conference on Anaerobic Digestion, . Haq, N., Bowe, C., Hudson, M. D., Williams, I. D., Salter, A. M., & Heaven, S. (2007). Plants, people and the environment. Paper presented at 5th International Symposium on New Crops and Uses: their role in a rapidly changing environment, . Banks, C. J., Salter, A. M., Haq, N., & Heaven, S. (2007). Renewable energy from crops and agrowaste: crops for biogas production, yield, sustainability and energy balances. Paper presented at 5th International Symposium on New Crops and Uses: Their Role in a Rapidly Changing World, . Williams, I. D., Banks, C. J., & Heaven, S. (2006). A study of the environmental impacts of home composting. In Waste 2006 Proceedings (pp. 767-774). Waste Conference Ltd.. Heaven, S., & Williams, I. D. (2006). Collected bulky household waste in England – potential for reuse and recycling. In Waste 2006 Proceedings (pp. 603-612). Waste Conference Ltd..
Pak, L. N., Heaven, S., & Banks, C. J. (2006). Effluent quality parameters for continental climate WSPS: implications for re-use. Paper presented at 5th IWA International Symposium on Wastewater Reclamation and Reuse for Sustainability (WRRS), . Dacombe, P., Banks, C. J., Khan, T., & Heaven, S. (2006). Integrated systems for practical recovery of non-MSW waste streams.. 319-324. Paper presented at Waste 2006: Sustainable Waste and Resource Management, United Kingdom. Heaven, S., Banks, C. J., Pak, L. N., & Rspaev, M. K. (2006). Wastewater reuse in central Asia: implications for the design of pond systems. 5th International Conference on Wastewater Reclamation and Reuse for Sustainability, Korea, Republic of. Pak, L. N., Heaven, S., & Banks, C. J. (2005). 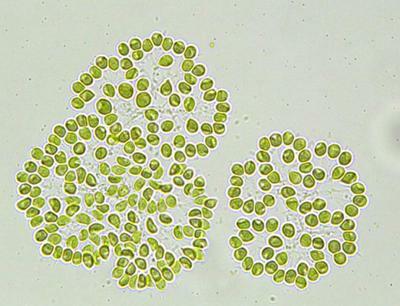 Changes in algal population from winter to late spring in experimental cold climate WSPs. PW6AME03. Paper presented at 6th IWA International Conference on Waste Stabilisation Ponds, . Banks, C. J., & Heaven, S. (2005). Some observations on the effects of accumulated benthic sludge on the behaviour of waste stabilisation ponds. In F. Brissaud, B. Picot, & A. Shilton (Eds. ), Waste Stabilisation Ponds VI (pp. 157-165). IWA. Heaven, S., & Banks, C. J. (2004). Anaerobic digestion of WSP sludges at low temperatures. Paper presented at IWA Young Researchers' conference 2004, . Dacombe, P., Banks, C. J., & Heaven, S. (2004). Energy and materials flow modelling of MSW: options for management of the plastics fraction in household waste. Paper presented at ISWA World Environment Congress and Exhibition, . Dacombe, P., Banks, C. J., & Heaven, S. (2004). Energy footprint analysis: comparison of waste management options for the processing of the glass and paper/card components of domestic refuse. Paper presented at Eco-Efficiency for Sustainability Conference, . Dacombe, P., Banks, C. J., & Heaven, S. (2004). Energy footprint analysis: waste management options for the processing of the paper and card fraction of household waste. Paper presented at IWM & LCA Conference, . Tanton, T. W., Heaven, S., McGuinness, A. M. G., Mukhazhanov, V. N., & Gozhalimova, R. T. (2004). Experience of setting up a joint Kazakh-British chair and integration of Kazakhstan higher education with international educational practice: in Russian. 23-29. Paper presented at 4th International-Technical Conference: Modern Power Engineering, Telecommunications and Higher Education, . Dacombe, P., Krivtsov, V., Banks, C. J., & Heaven, S. (2004). Use of energy footprint analysis to determine the best options for management of glass from household waste. In Sustainable Waste Management and Recycling: Glass Waste (pp. 265-272). Thomas Telford. Heaven, S., Pak, L. N., McGuinness, A. M. G., & Waters, D. P. (2004). Wastewater collector reservoirs in Kazakhstan: the Sorbulak system. In Proceedings of 2nd National CIWEM Conference (pp. 301-310). Chartered Institution of Water and Environmental Management. Heaven, S., Lock, A. C., & Pak, L. N. (2003). Waste stabilisation ponds in extreme continental climates: a comparison of design methods from the USA, Canada, northern Europe and the former Soviet Union. In A. N. Shilton, R. J. Craggs, & N. Walmsley (Eds. ), Waste Stabilisation Ponds: Pond Technology for the New Millennium (pp. 113-120). IWA. Heaven, S., & Pak, L. N. (2003). Wastewater storage reservoirs in Kazakhstan: the Sorbulak system and the potential for Waste Stabilisation Ponds. In A. N. Shilton, R. J. Craggs, & N. Walmsley (Eds. 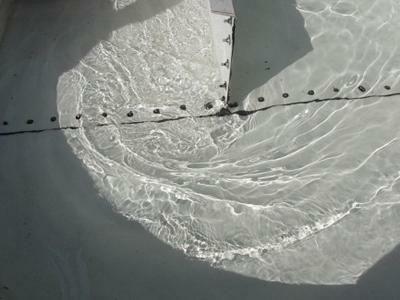 ), Waste Stabilisation Ponds: Pond Technology for the New Millennium (pp. 715-722). IWA. Heaven, S., & Tanton, T. W. (2002). Problems of demercurisation of the river Nura in Central Kazakhstan. Paper presented at Abstracts of International Conference on Problems of freshwater mercury pollution in natural and manmade reservoirs and possible ways for remediation, . Ilyushchenko, M. A., Yakovlyeva, L., Abdrashitova, S. A., & Heaven, S. (2000). Problems of technogenic contamination of the northwest coast of Lake Balkhash. Paper presented at International Ecological Forum 'Balkhash-2000', Kazakhstan. Ullrich, S. M., Heaven, S., Ilyushchenko, M. A., Tanton, T. W., & Yanin, E. P. (1999). Mercury-polluted sediments of the River Nura and its flood plain. Paper presented at 5th International Conference on Mercury as a Global Pollutant, Brazil. Heaven, S., Bose, A., & Karaulova, A. (1998). Education in environmental policy: An experiment in collaboration between science and public policy. 6. Paper presented at International Conference on Sustainable Development, . Heaven, S., Atrushkevich, P. A., Tashenev, K. M., & Mikhailenko, N. A. (1998). Methodology for preparation of masters students in environmental management. Paper presented at International Conference on Sustainable Development, . Heaven, S., Ilyushchenko, M. A., & Yanin, E. P. (1998). Monitoring and estimation of pollution of the environment by mercury in the vicinity of the city of Pavlodar. 59-68. Paper presented at Geochemical researches into urban agglomerations (IMGRE1998), Russian Federation. Heaven, S., & Tanton, T. W. (1998). The need for research and development to support the programme to overcome the Aral Sea Crisis. 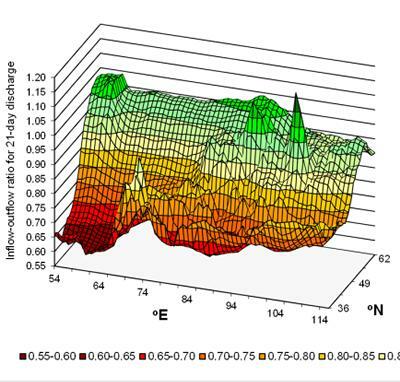 Paper presented at Water in the Mediterranean Area (WWM-03), . Heaven, S., Ilyushchenko, M. A., & Bulatkulov, S. S. (1996). Ecogeochemical consequences of contamination of the Nura river in central Kazakhstan by mercury containg wastewarters from acetaldehyde production. In Abstracts of the International Conference on Toxic Impacts of Waste on the Aquatic Environment (pp. 21). Loughborough University. Heaven, S., & Ilyushchenko, M. A. (1996). Mercury technogenic geochemical anomalies in central and North-east Kazakhstan: Review of results and expeditionary research. Paper presented at Republican Scientific- Practical Conference on Current Environmental Problems of Central Kazakhstan. ,1996, Kazakhstan. Heaven, S., Tanton, T. W., Ishamkulov, M. S. H., Ilyushchenko, M. A., & Yanin, E. P. (1996). Project for moving and storing mercury-containing technogenic silts of the River Nura in Central Kazakhstan. Paper presented at Republic Scientific-Practical Conference on Current Environmental Problems of Central Kazakhstan, . Heaven, S., Howe, I., & Beattie, S. (1995). New initatives in recycling and re-use of waste paint in the UK. Paper presented at International Congress on Recovery, Recycling, Re-Integration (EMPA III), . Heaven, S., & Kerrell, E. (1993). The Leeds waste wagon project: Interim results. Paper presented at 7th US EPA National Conference on Household Hazardous Waste Management, United States. Heaven, S., Salter, A. M., & Clarke, D. (1970). 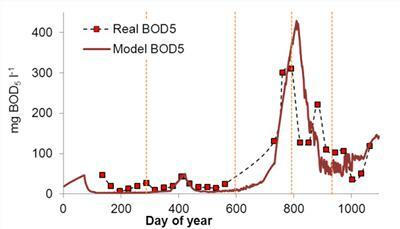 Influence of annual climate variability on the design of waste stabilisation ponds for continental climates. Paper presented at 7th IWA Specialist Group Conference on Waste Stabilization Ponds: Advances in Pond Technology and Management, . Banks, C., Heaven, S., Zhang, Y., & Baier, U. (2018). 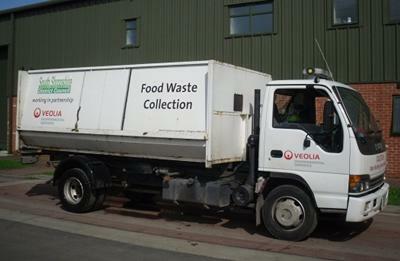 Food waste digestion: anaerobic digestion of food waste for a circular economy. IEA Bioenergy. Heaven, S., Howe, I., & Kerrell, E. (1995). Household hazardous waste collections survey. Northampton, GB: Institute of Wastes Management. Heaven, S., Howe, I., & Whitehead, A. (1995). Paint re-use and recovery schemes: One year on. UK: Institute of Wastes Management. Heaven, S., & Howe, I. (1994). Development of paint exchanges for recovery of post-consumer paint products in the UK. UK: Institute of Waste Management. Heaven, S., & Kerrell, E. (1993). Attitudes to hazardous household waste: the waste wagon survey results. Leeds, GB: Save Waste & Prosper Ltd. Heaven, S., Howe, I., Kerrell, E., & Mason, A. (1993). The Leeds paint exchange report. Leeds, Save Waste & Prosper Ltd. Heaven, S., Kerrell, E., Howell, R., & Howe, I. (1993). Waste with care: The waste wagon report. Leeds, GB: Save Waste & Prosper Ltd.